Copyright: Applied Arts reserves the right to publish or exhibit entries in print or electronic formats, for use in the magazine or related promotions. Various categories are available for entry. 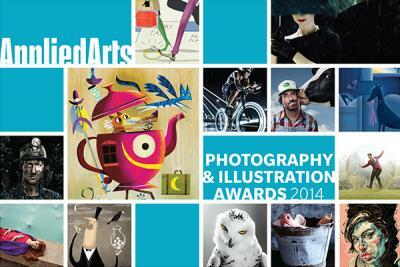 Announcing the Call For Entry for the 2014 Photography & Illustration Awards, Canada’s most esteemed awards program for photographers and illustrators. Now in it’s 24th year, the Applied Arts Photography and Illustration Awards celebrate the very best work produced by some of the world’s leading artists. Showcased in the Photography and Illustration Awards Annual, published in May 2014. This gorgeous reference is kept and read by more than 46,000 senior professionals and decision makers. Winners will be notified via e-mail late February, 2014. Image requirements: JPEG format at 72 dpi resolution, with a maximum width of 1,024 pixels and height of 768 pixels, as RGB. Up to 2 MB in file size.